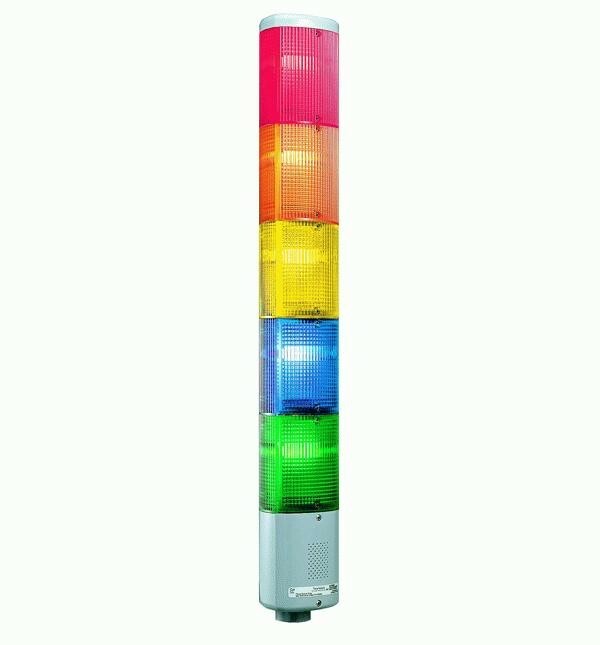 Sounder modules provide 89dB @ 1 meter/79dB @ 10 ft.
Edwards 102 Series StackLight is a unique audible-visual signaling device that may contain up to five light modules and a pulsating horn in a single, integrated stack. 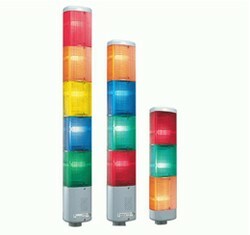 Two optional sounder modules are also available. The StackLight diffusion optic lens allows viewing from close up while still projecting the light through use of a built-in projection ring. 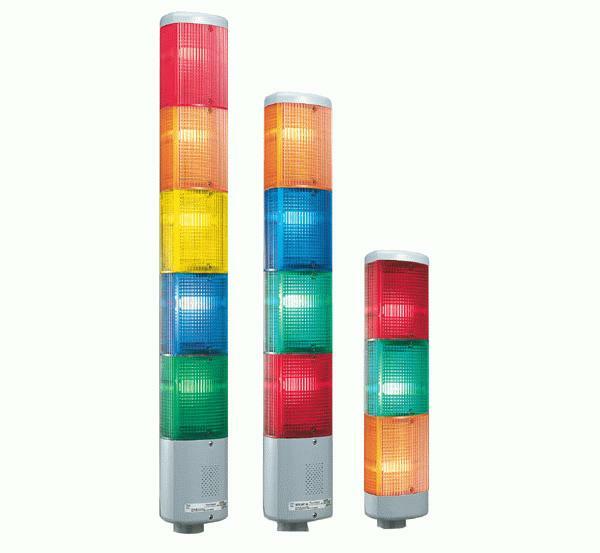 The lens modules are available with LED, Incandescent, Halogen or Strobe light sources. 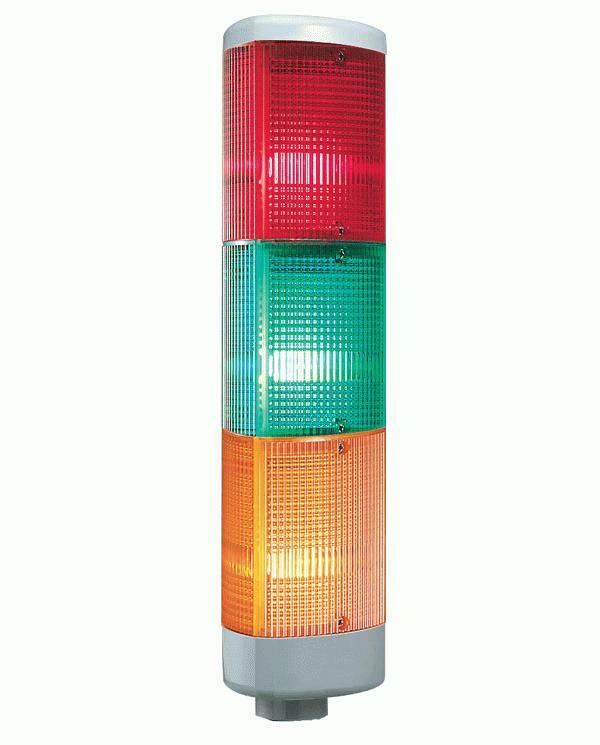 Options for steady-on or flashing are available. 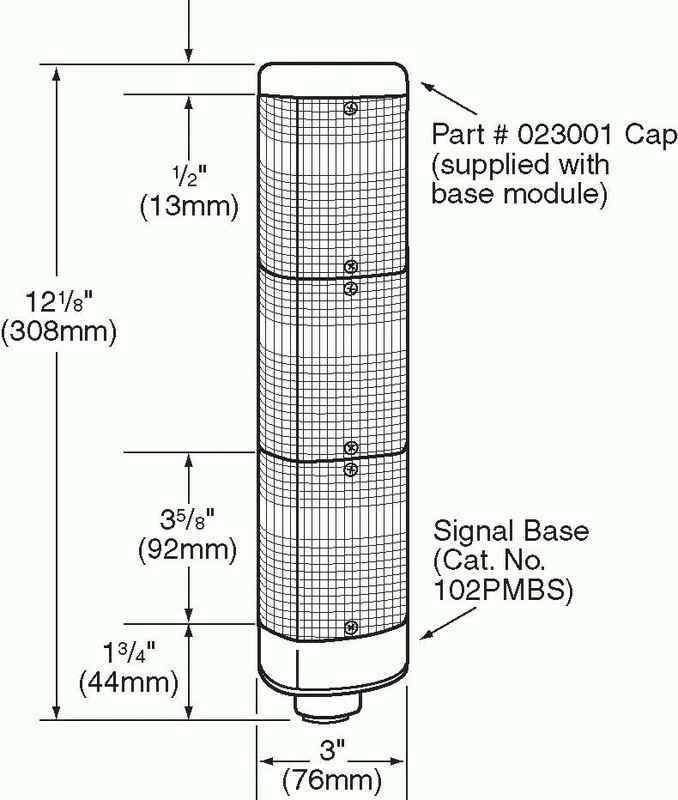 The 102 Series offers a shorter base for panel or conduit mounting as well as a taller base, designed for use with a sounder module. 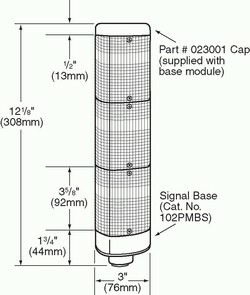 120 VAC 50/60 Hz, 0.60 Amp Max. 24 VDC, 1.75 Amp Max.